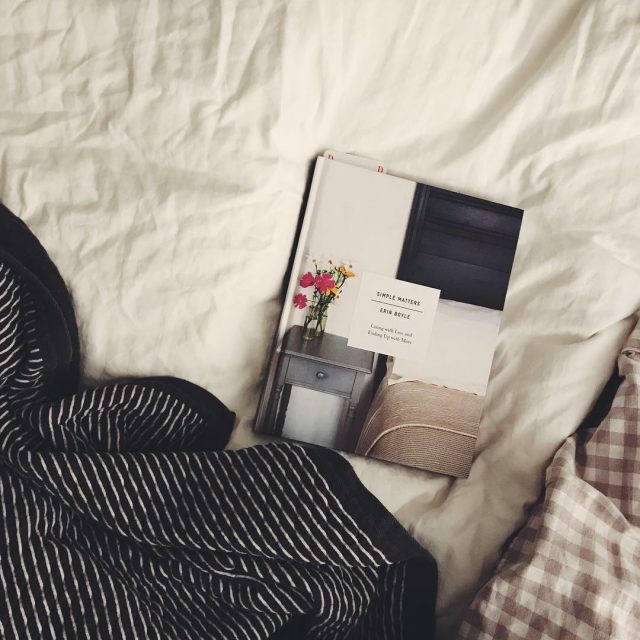 I was hoping to share my favorite home decor books from 2016 before the end of the year… but better late than never! 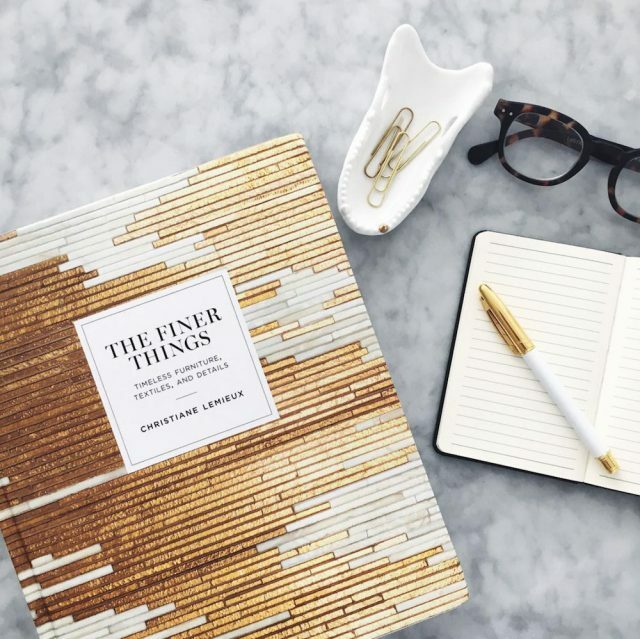 These books are just as relevant as ever, and I think you’ll find lots of great decorating tips and interior design inspiration in each of these picks. 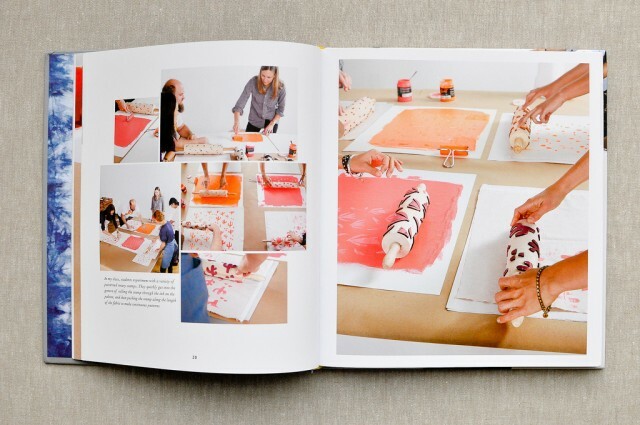 I love Rebecca Atwood’s painterly prints, and this book was a lovely peek into both her life as a textile designer, as well as a handbook for adding pattern to your home with style and flair. 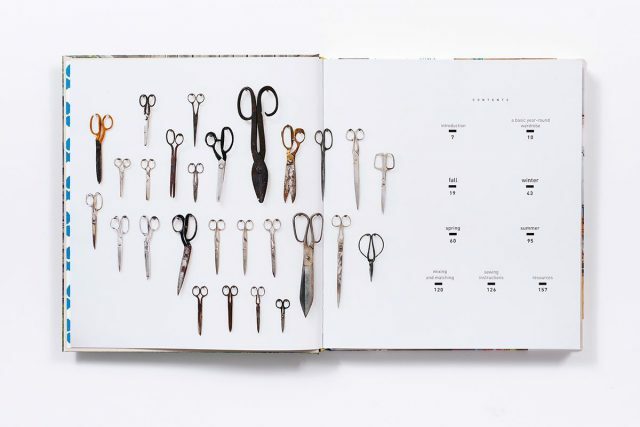 The watercolor illustrations totally charmed me, and I relished seeing photos of her studio and pattern making process. 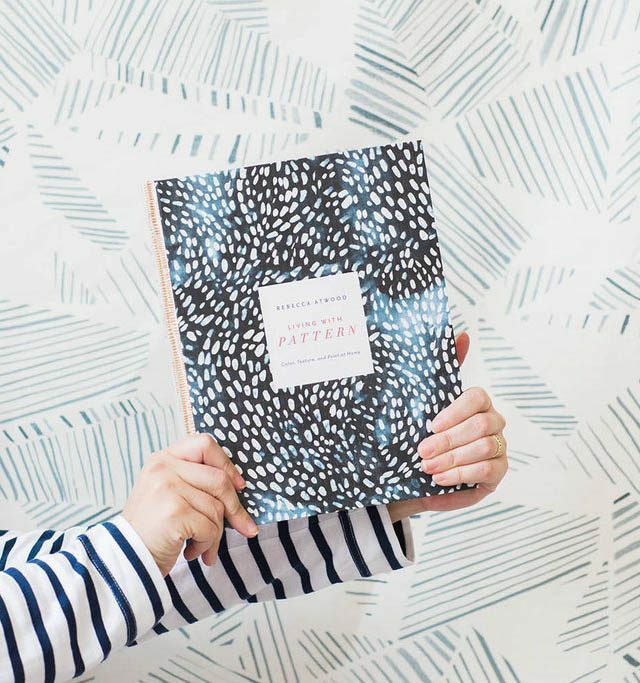 The real-world examples of homes brimming with pattern were beautiful, and I loved the way she broke down how to decorate with pattern, while still maintaining balance and keeping a room from looking too busy. The DIY projects felt advanced, like upholstery projects and dying fabrics, but I still felt confident that they were achievable — It’s nice change to feel challenged by projects like this, rather than underwhelmed. I pre-ordered this book back in January, because I’ve been a fan of Erin’s blog, Reading My Tea Leaves for quite a while. Her perspective on living minimally, and making thoughtful choices about everything you keep in your home is so valuable. 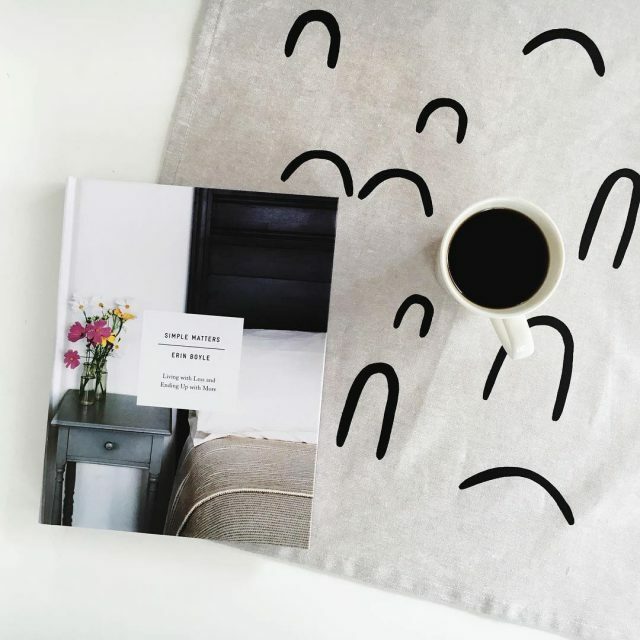 The book is divided into nine chapters, and my favorites were the sections on decluttering, simplifying, and decorating. Erin’s personal insights on small-space living and conscious consumption were really compelling. We agree that it’s important to adopt sustainable approaches to living, and that those efforts are beneficial to both the environment and our own well being. Her thesis is a powerful one: that “living small” is beneficial and accessible to us all—whether we’re renting a tiny apartment or purchasing a three-story house. This lovely gilded tome is a comprehensive guide to selecting heirloom-quality pieces for your home — the unique, and well made items that imbue enduring style into your home. This desk-worthy reference helps you select, install, and style high-quality decorative elements in your home, from wallpaper, art frames and floors to furniture, fabrics, light fixtures and more. 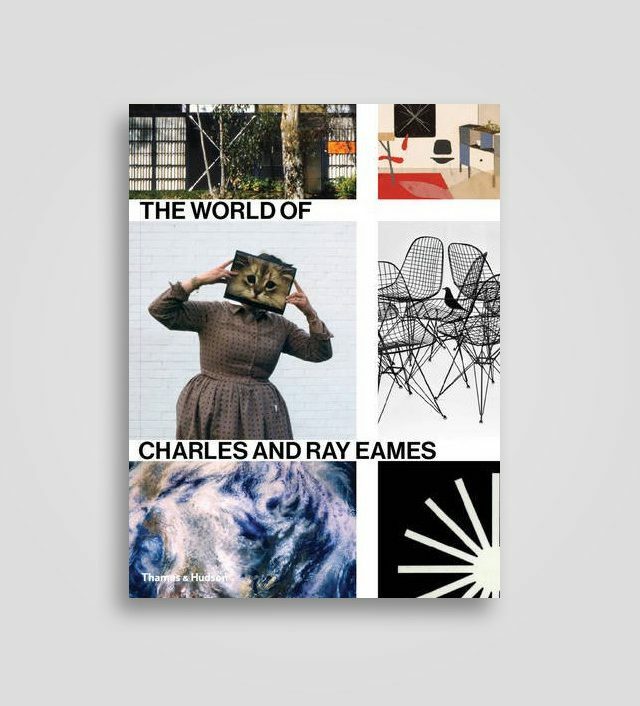 The more I learn about the Eames’ influence on the world of design, the more I realize the impact they still have on the design world have today. I’m particularly drawn to Ray Eames’ textile designs, and this impressive archive of their work was fun to pore over. 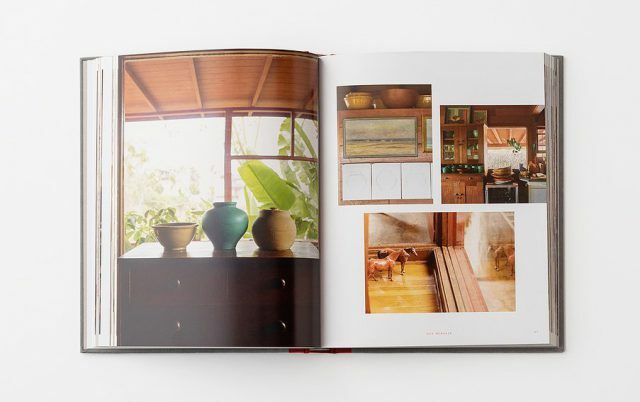 The book contains handwritten notes, sketches, and snapshots, as well as beautiful photos of those modern interiors and furniture that we know and love. 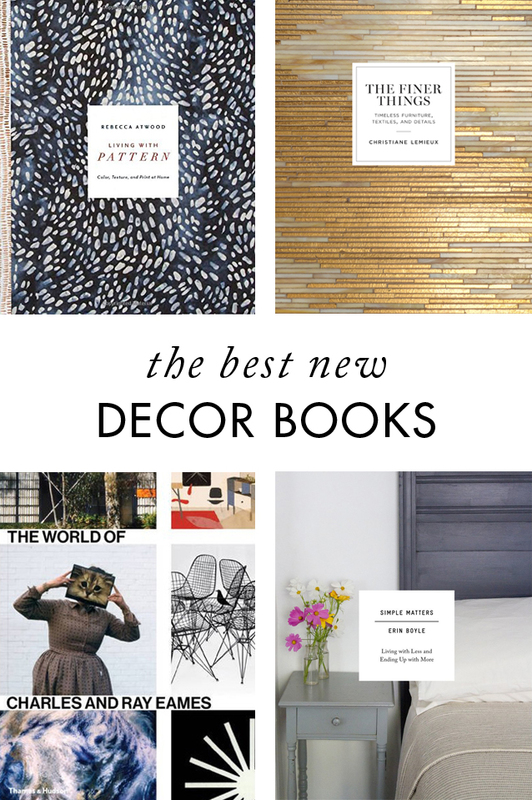 So many fantastic decorating books were published in 2014 and 2015, so I thought I’d put together a roundup of my favorites! 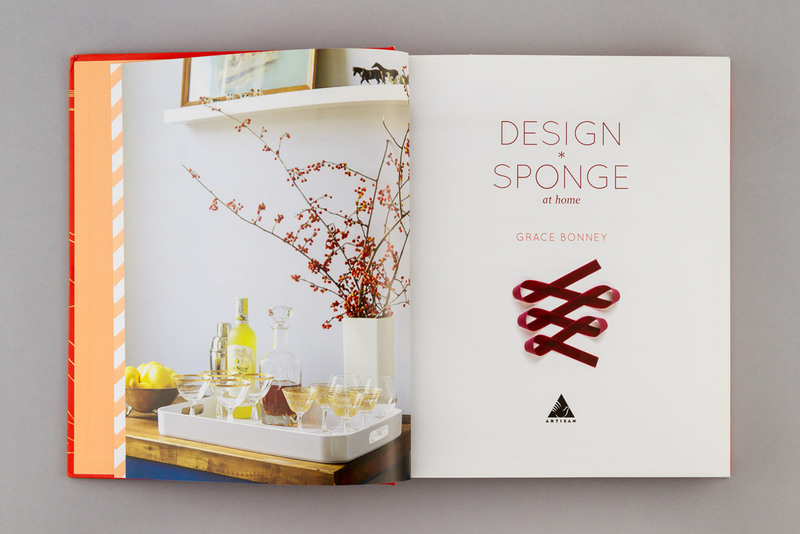 If you’re looking for home decorating ideas, these books are a great place to start. 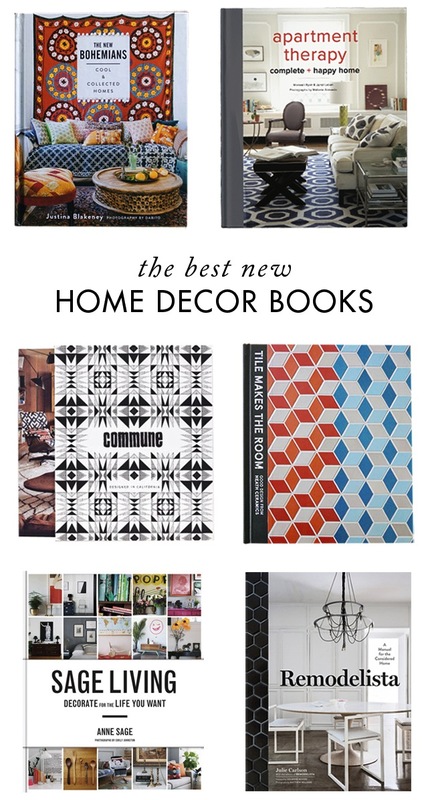 You’ll find 11 of my favorite recently published interior design books below! I meet so many creative people, both in person at sales and events, and online on Etsy and Pinterest. Lots of people ask me about how I learned to print on fabric, and the truth is, I’m almost entirely self-taught! I learned traditional printmaking techniques (relief printing, intaglio, lithography, etc.) in college, but I didn’t learn to print onto fabric until after graduation. I learned fabric printing, both silkscreen printing and relief printing with hand carved blocks, by reading lots of books and by experimenting. The best way to learn to print on textiles is by trying it out for yourself, and you don’t need a fancy studio to get started. These books will help you learn the basics, and guide you through some basic and intermediate project that you can give as gifts, or keep to decorate your home. These books are invaluable parts of my library, and I return to them often. 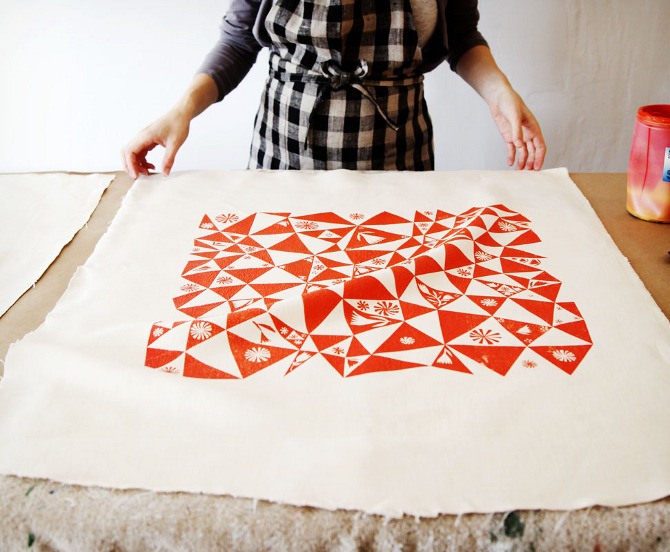 Some of them focus completely on printing on fabric, but a few are great introductions to printmaking in general, and cover the basics of printing on fabric as well. 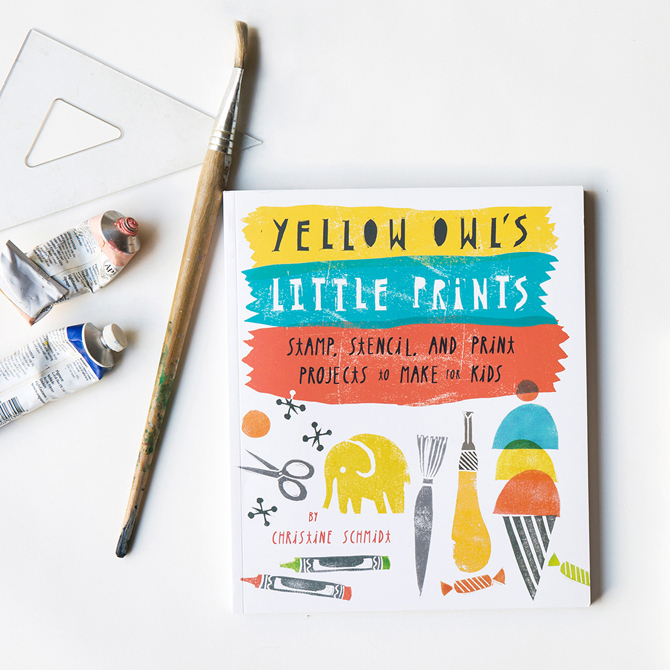 This book from Christine Schmidt of Yellow Owl Workshop is a great way to introduce young ones to printing – the projects included in her book are absolutely adorable, and will keep you entertained all afternoon. Lena Cowin’s new book Made By Hand also has some fun printing projects. 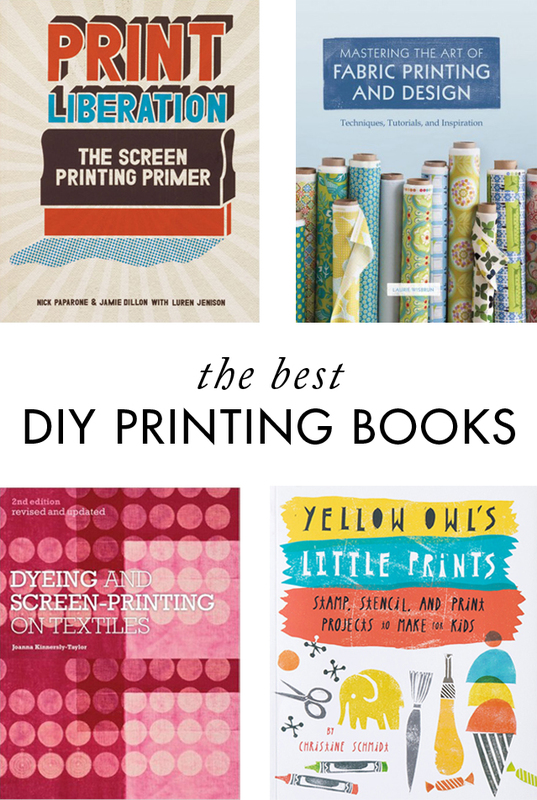 I didn’t include it in the roundup because it’s not strictly about printing or textile design, but it’s worth picking up! 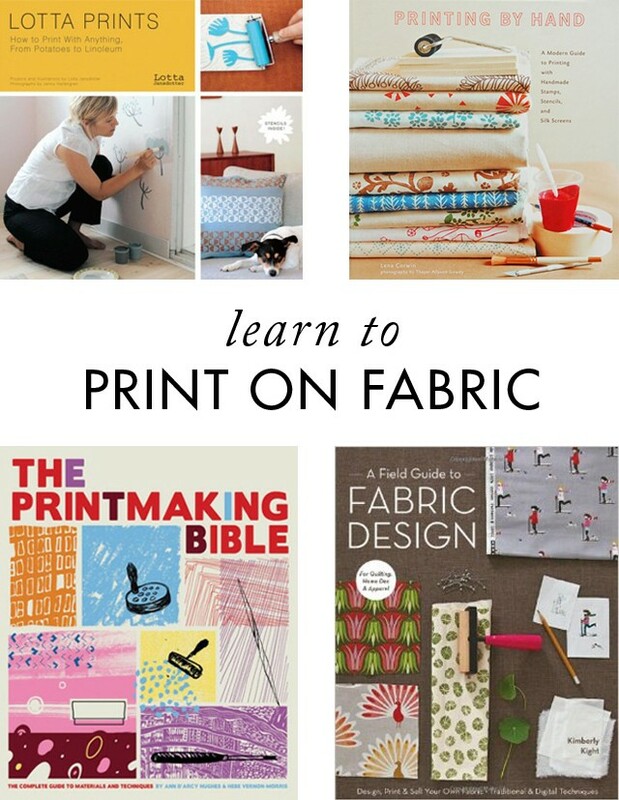 Do you know of a textile printing book that I shouldn’t miss? Let me know on Twitter or Instagram! 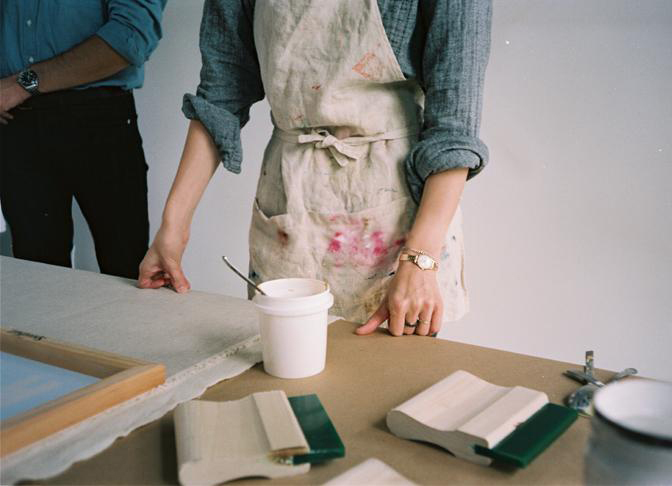 Want to learn more about printmaking? Check out my screenprinting class for CreativeLive, and learn to print your own designs!